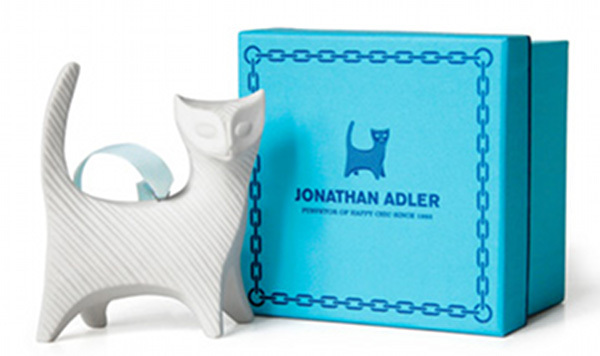 Take a look at these beautiful Christmas ornaments for 2010 from Jonathan Adler. I can see these being purchased as heirloom ornaments each year for the kids in the family. Capitalising on groovy retro Seventies style, the ornaments are made from porcelain and come packaged in beautifully ornate storage boxes. The lion has really captured my heart this year, with the peacock coming a close second. 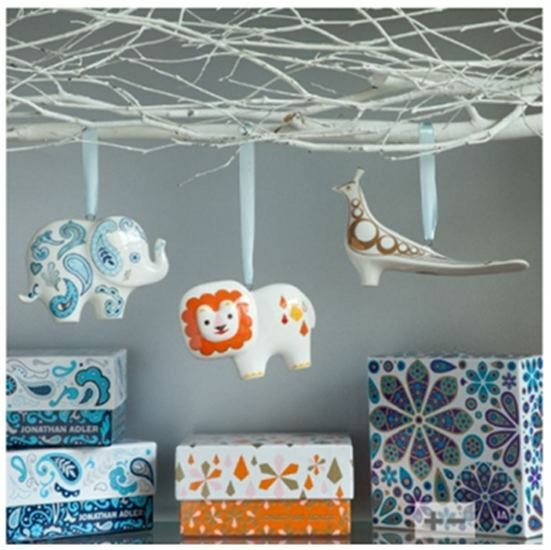 There are also plain white ornaments in a wide choice of animals. 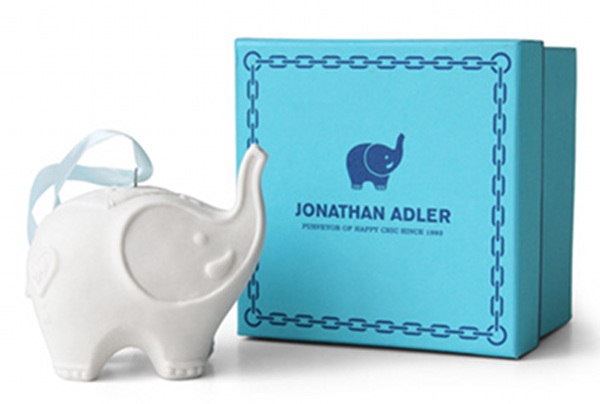 The Lion, Elephant and Peacock are US$28 each and the plain white ornaments are $24 each from Jonathan Adler.